Employers have many responsibilities when it comes to the management of employees and the pursuance of all stipulated provisions in the workplace. They are however not always responsible for an accident in the workplace, some may occur as a result of the malfunctioning of the machinery, in which case the manufacturer of the machinery (a third party organization) is to be held responsible. 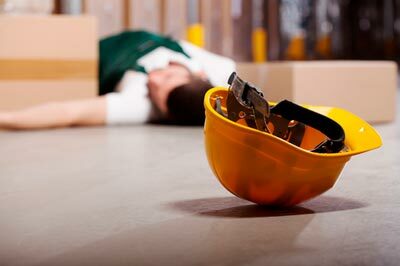 If you have sustained injuries in the workplace in the performance of your duty, you are supposed to be compensated for the distress you have been put through. Your attorney would be needed to be your voice and to negotiate a compensation that is best for you, along with ensuring that all required paperwork and submissions are done tastefully and in time. This is where we come in! Rawa Law Group is a five star legal firm with over two decades of experience and meaningful contributions in the legal sector. Our work injury attorneys are some of Lancaster’s finest, all having stellar track records of excellence in their own rights. With us, you are assured of a personalized and one-on-one representation that will see to it that all your concerns are addressed and that you are adequately settled for your distress. We are ready to come and meet you at your convenience; be it at home or at the office in order to provide our consultation and counseling services. Kindly reach us via the address below for any information you need. We would be honored to represent you.